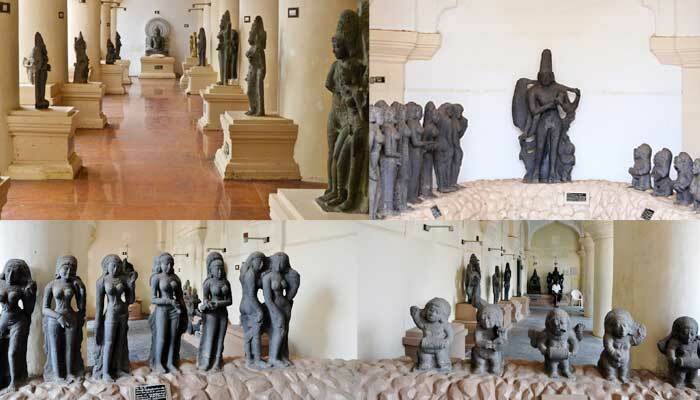 The Thanjavur Maratha Palace Complex, known locally as Aranmanai, is the official residence of the Bhonsle family who ruled over the Tanjore region from 1674 to 1855. 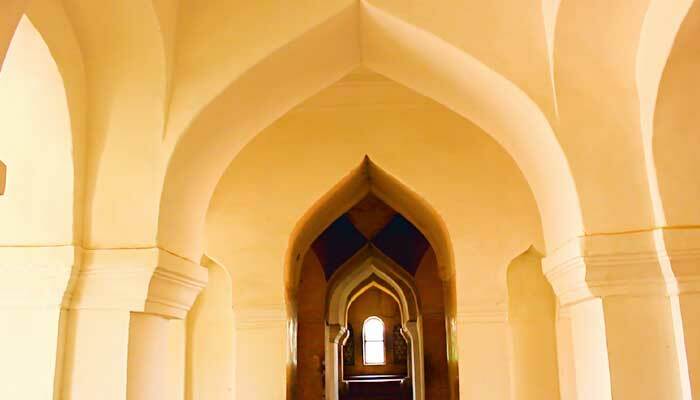 The original name of Thanjavur Palace is Sivaganga Fort, which is rarely used these days. If you observe carefully, there is even a small moat around it which provided security against enemy access. Often mistakenly called the "Thanjavur Maratha Palace" was not built by Maratha Kings, but by Thanjavur Nayaks. However, the Marathas made some enhancements to suit their needs. 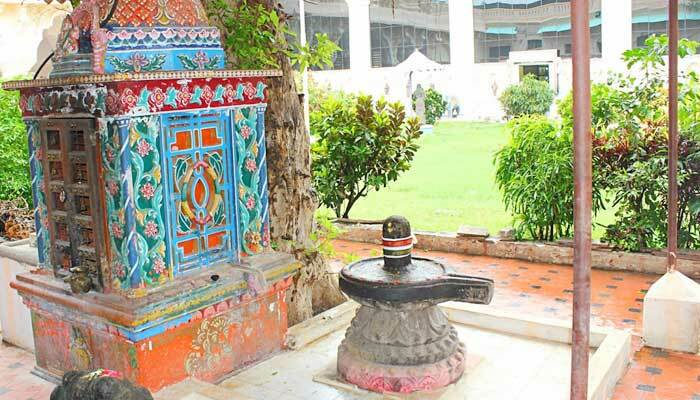 It is more popularly called "Thanjavur Aranmanai" by the people of Tamil Nadu. Thanjavur’s royal palace is a mixed bag of ruin and renovation, superb art and random royal paraphernalia. The maze-like complex was constructed partly by the Nayaks who took over Thanjavur in 1535, and partly by a local Maratha dynasty that ruled from 1676 to 1855. 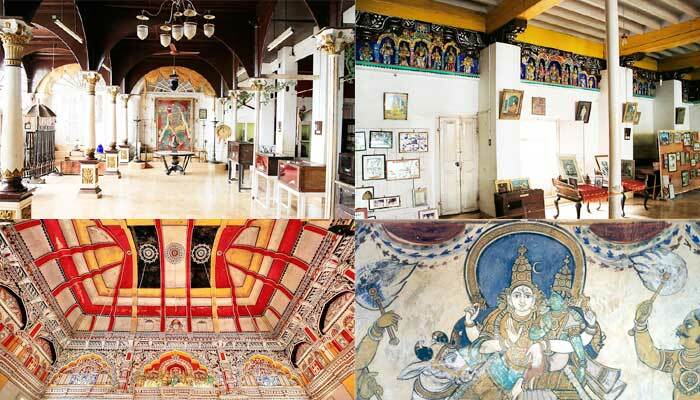 The two don't-miss sections are the Saraswati Mahal Library Museum and the Art Gallery. Seven different sections of the palace can be visited – and you'll need three different tickets to see them all. 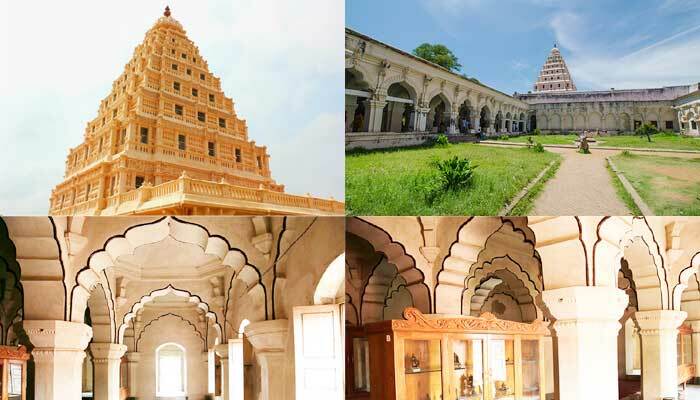 The Art Gallery and Saraswati Mahal Library Museum are included in the ‘full’ ticket, along with the Mahratta Darbar Hall, the bell tower, and the Saarjah Madi. The main entrance is from the north, via a lane off East Main Street. On the way in you’ll come to the main ticket office, followed by the Maratha Palace complex. 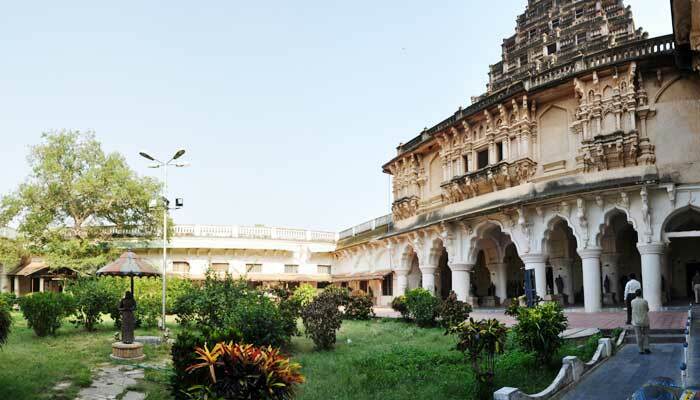 The Palace was officially called "Sivagangai Fort" and was held by the Nayak family until April 1674, when the Maratha ruler Venkoji captured it. After the fall of the Thanjavur Nayak kingdom, it served as the official residence of the Thanjavur Maratha. The Marathas enhanced the original structure and expanded the palace complex. Another intriguing feature is the extremely narrow staircases with short steps, sharp turns and low ceilings. This was a measure to prevent enemies' rapid advance. 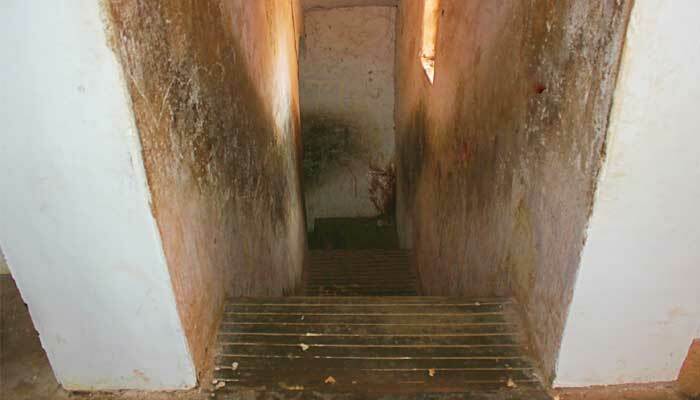 Cavalry advances would be impossible through the stairs, and the foot soldiers cannot climb up with great speed. The enemy foot soldiers would be easy prey to the men waiting for them above. Again: this was built as a fort, not a palace. 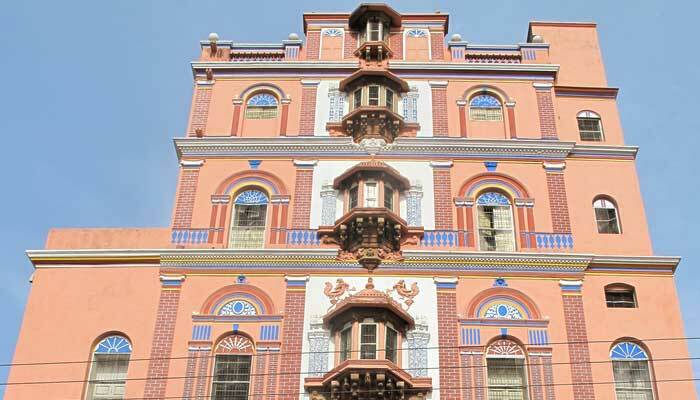 The initial building was constructed by Nayaks in 1645 with only 2 floors. The Marathas later renovated and finished the tower in 1855, and used it for various military purposes. The top floor was used as a watch tower, and the remaining floors were used to store arms and ammunition. The second floor was exclusively used for the King's martial arts training. A dead whale's skull is found in this section. 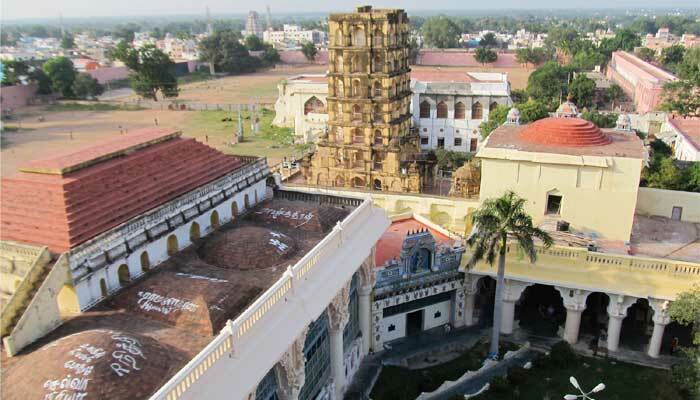 From this tower, one can get bird view of Brihadeeswarar Temple Vimana. 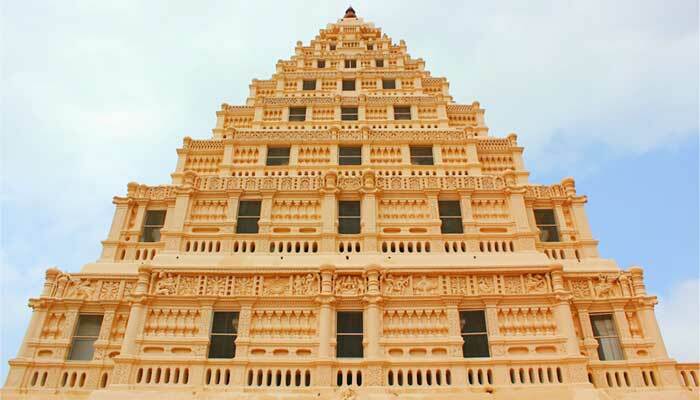 Arsenal Tower is a structure, which attracts the visitors to Thanjavur even as the Tower of the Big Temple does. This Arsenal Tower is 190 feet height with eight storeys and was constructed in 1855 CE during the period of Marathas. Today this tower has only seven storeys though it is said to have been higher with more levels that were damaged by thunder and lightning. A research note says that there was a huge and unusual clock on the tower in which the figure of a monkey used to strike the gong every hour. There is nothing particularly found in the Bell Tower. People use this place to climb up and get aerial view of Thanjavur city. This is another interesting building with a construction style exactly opposite to the Arsenal Tower. It looks like rectangular construction resembling the modern day skyscrapers. Maadamaaligai in Tamil describes it accurately - Rectangular Mansion. This building is shorter than the arsenal tower and has 7 floors. It once housed a mechanical bell which rung every hour from the top. 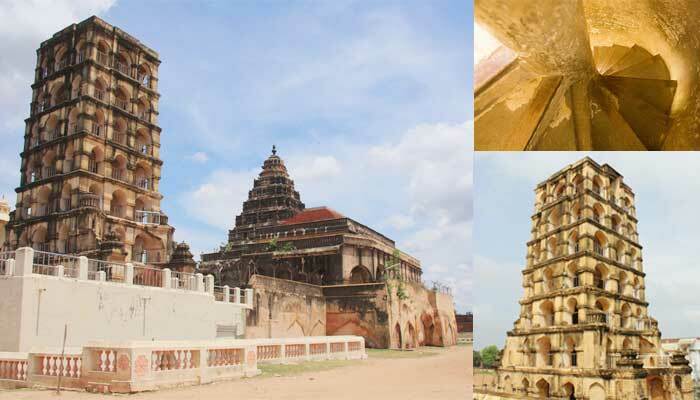 The people of Thanjavur used it as their time teller. 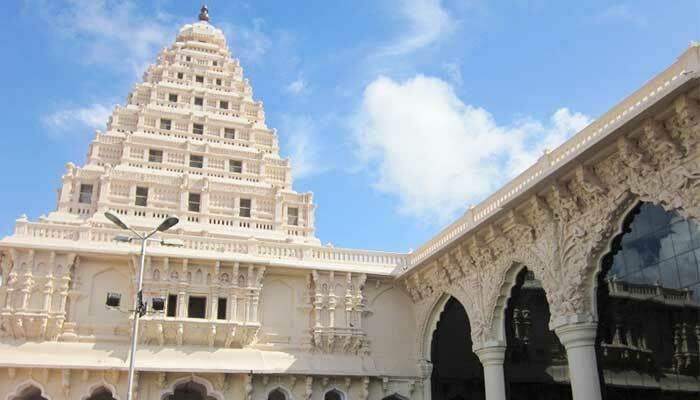 For this reason, this building is also called as "Manikoondu".